Yall, I actually still have my twists! I put them in last Sunday, and as tempted as I am to take them out for my twist out, I will not! I have a fall/winter goal to really focus on growth. I miss my shoulder length hair. 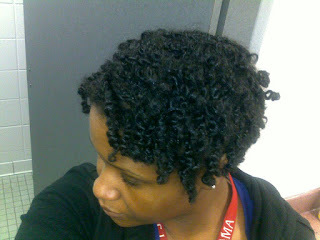 I plan to wear a protective style for a week or two, then a glam style for a week. This will keep my hair from getting tangled and those pesky knots from forming. Talked to a fellow naturalista and she talked about how a multivitamin for hair and nails have helped her, so I may give it a try. 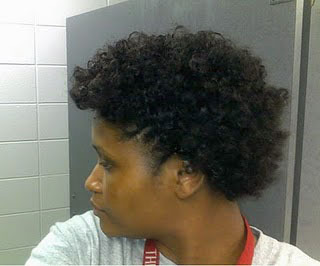 I have been completely natural for almost 4 months now and I am truly enjoying this experience. 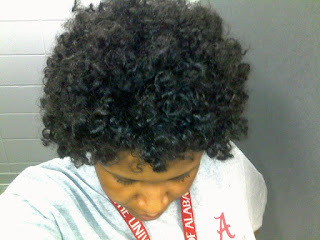 I do not plan to go back to the relaxer! Anyway...am I the only one who gets lazy? Maybe its because I transitioned for almost a year before BCing? Usually when I style my hair, it takes a few hours to achieve my results, and the style usually lasts about a week or two. That's pretty good I guess, but sometimes I dread the styling process! Thank God for the pony puff. Its quick and easy. Maybe I need to go to a stylist? 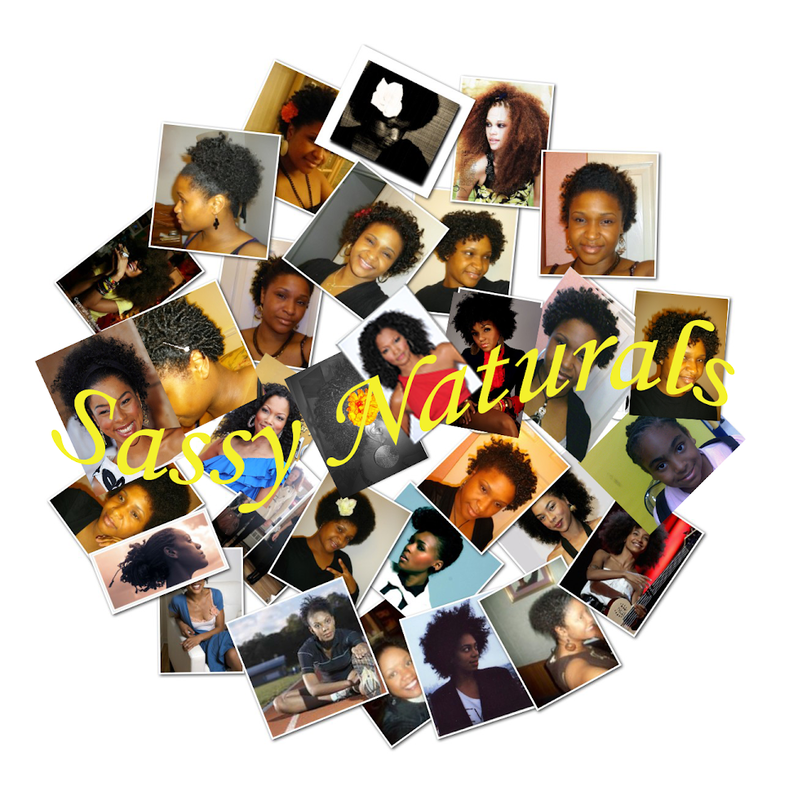 Are there any other naturals or transitioners who have hit a lazy era. If you have been through it, what are some tips to get out of it? Today I tried to refresh my curls by dampening them with water and my homemade leave in, twisting in bigger chunks, and then putting them into bantu knots. The result was a very soft curly fro. Not my best, but it will do. The leave in conditioner I use is one created by kimmaytube on youtube. Its great so check her out! I am really digging Solange’s new look! 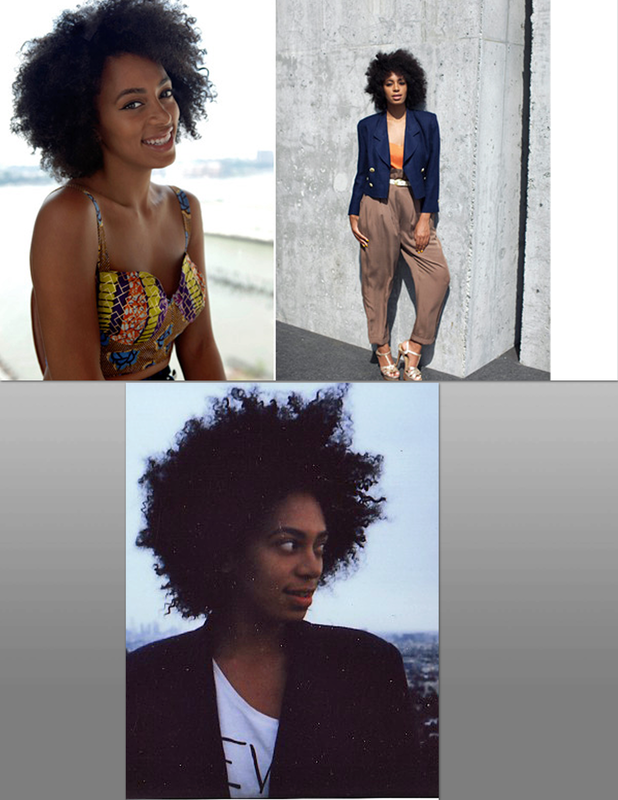 I checked out her interview with Refinery29.com and she talks about her new style and what inspired her "vivrant" mane. She is still rocking the cropped cut, but this is just some “added” flavor. I’m a fan out it. What do you think?